Firstly, the anti-fascists are not in principle opposed to freedom of speech, nor are we “free speech absolutists”. 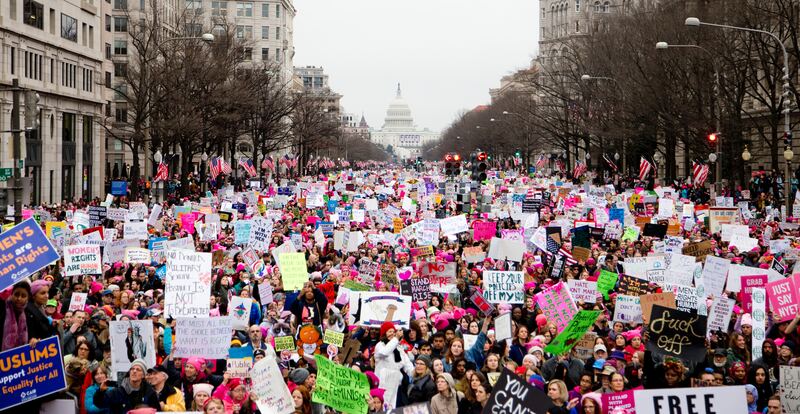 We are, however, opposed to what happens when violent hate speech, freedom of assembly, and the congregation of angry fascist sympathizers converges into a single terrifying mob of hate and reaction targeted either directly or symbolically, at minorities and people who traditionally face one form of oppression or another. This, consequently, is what gets us into trouble with those unsympathetic with our aims. We are also firm believers in the fact that violent speech is not a form of free speech, but rather is an abuse of it. When such conditions manifest themselves, we are not at all opposed to direct action or confrontation. Nor are we Utopian advocates in the social infallibility of the “market-place of ideas”. The explosion in the popularity of InfoWars is an expression of such fallibility, but it is not generally something that should be seen as a serious “threat” to society. Thus we are opposed to censorship. Generally we see the internet as a tool for attaining knowledge, not as a tool for gaining knowledge from the accounts and hearsay of others, but directly from the source with few exceptions. A website, Facebook Page, Podcast or YouTube channel is something very different from a rally. And if a website is “shut down” by society, it ought to be done so in the form of direct action through popular demand from below, not by faceless corporations or by the state (see what happened to The Daily Stormer). 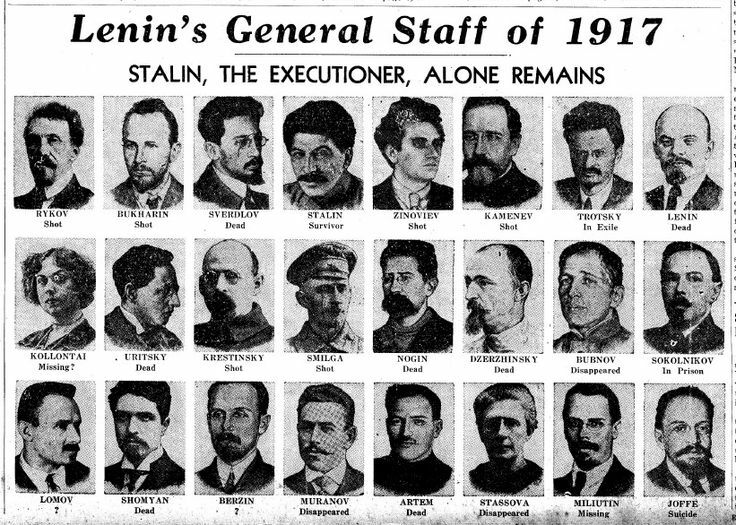 Here let’s quote from Trotsky’s The Revolution Betrayed: “‘We are not Utopians,’ responded Lenin in 1917 to the bourgeois and reformist theoreticians of the bureaucratic state, and ‘by no means deny the possibility and inevitability of excesses on the part of individual persons, and likewise the necessity for suppressing such excesses. But… for this there is no need of a special machine, a special apparatus of repression. This will be done by the armed people themselves, with the same simplicity and ease with which any crowd of civilized people even in contemporary society separate a couple of fighters or stop an act of violence against a woman. 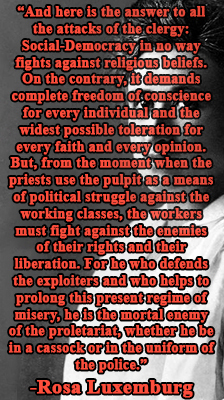 '” Lenin here does not deny that suppression of abuse is sometimes necessary, but he makes the argument that such suppression ought to be done by the people themselves, neither by a state or a corporation, or any other special apparatus of repression. And even then, one still has the right to speak freely, and tools and mechanisms exist to ensure that right is protected. This is one of the many reasons that this site, Thought Foundry Blog, exists as a Tor, I2P, and Freenet hidden service. Even if you are in China or Saudi Arabia, you can find our site on the censorship resistant internet relatively easily and without serious threat to your personal safety or privacy. Secondly, we as communists are principally opposed to the corporation as an entity. We shall give one example as to why. A corporation is controlled almost entirely by its board of directors. On face value, it is “democratic” because this board is elected by share-holders. But who are the share-holders? It is natural, certainly, of an ordinary person to own a few shares in a big company. But the corporate model is as follows: one share, one vote. Who owns most of the shares on Wall Street? The top 1%, an undeniable fact. The people who are directly affected by the decisions made by the company- the workers and the public at large- have democracy only insofar as they own shares. It does not take a rocket scientist to see that this model is as “democratic” as the “estates” of pre-revolutionary France, or the “Democratic” People’s Republic of Korea. The board of directors of so large a corporation as Google, have near absolute power over their company. Criminal acts are in effect, legal for such an entity, because the organization can easily pay off fines and lawsuits, assuming it’s team of highly skilled lawyers somehow fails to get a case dismissed. And the workers? Well, they can be fired for almost any reason, or for no reason at all. Are they paid what they are worth? An absurd proposition. Profits in capitalist society are but the unpaid wages of the working class. That is what capital is, the surplus value produced by the worker that the worker does not receive in turn. Do we want such an organization, itself exclusively in the hands of the ruling class, to be able to decide what speech is and is not acceptable? Would it not, in holding such power, turn the weapon of censorship towards its chief enemies (i.e. the socialists) when it feels the socialists, like InfoWars, are becoming too popular? What is the lesson of history here? Where power can be abused, it will be. The power here to censor and silence, simply should not exist. There is nothing in politics so suicidally reckless as for a socialist to cheer at a corporation’s censorship of an organization or individual on account of their political beliefs. (We saw this weapon turned against the socialist left just the other day with Venezuelanalysis and TeleSur). Thirdly, what effect does censorship have on a society? To answer this question we have to carefully examine the history of the 20th century, whose horrors those sympathetic to our aims, even in distorted form, are partially responsible. I have often said here that privacy is the only real prerequisite to individual liberty in the digital age. But what does having privacy really, in and of itself, guarantee? Freedom of privacy guarantees that the freedom of speech and the freedom of the press can exist unfettered without intimidation or repression. Yes, it even allows abuses! But history shows us that the abuses of individuals are far less harmful to humanity than the abuses of institutions, corporations, and states. That is an irrefutable fact. Typically here I would quote a lengthy excerpt from Chapter 5 and 6 of Rosa Luxemburg’s pamphlet, ‘The Russian Revolution’ written in 1918 in which she gives her principled proletarian defense of unlimited individual and political freedom, and lays such freedoms down forth as an indispensable necessity for any society to be called a dictatorship of the proletariat, or a socialist society. People see an act of corporate censorship as acceptable because corporations are private institutions. But the effect it has in a corporate dominated world is no less grotesque an abuse than government censorship in a one-party state. As Hannah Arendt said in 1974, “What makes it possible for a totalitarian or any other dictatorship to rule is that people are not informed; how can you have an opinion if you are not informed?” How can anyone truly be opposed to InfoWars if one cannot find primary source material, only hearing what others say about it? How can one truly be an anti-fascist if Mein Kampf is banned? No, we are opposed to InfoWars because we have seen it. We are opposed to fascism not only because we have seen the effect it has on society, but because we have read and understand the fascist thinkers of the 20th century. YouTube may not as an organization yet have the power to “erase” InfoWars, but it would if it could, and that is the problem. When an organization such as YouTube becomes so universal, it ceases to effectively be a “private” organization. We are of course opposed to the existence of private property, but even someone not sympathetic to our views can see the logic of our argument here. But back to the point, a democracy is impossible without a truly informed population. That is the effect censorship has on a society, it makes it much more difficult for a population to be informed. Democracy is impossible in a censored society, freedom also is impossible, and socialism with that. I will quote briefly here from Rosa Luxeburg’s pamphlet mentioned above, “Freedom only for the supporters of the government, only for the members of one party – however numerous they may be – is no freedom at all. Freedom is always and exclusively freedom for the one who thinks differently. Not because of any fanatical concept of ‘justice’ but because all that is instructive, wholesome and purifying in political freedom depends on this essential characteristic, and its effectiveness vanishes when ‘freedom’ becomes a special privilege.” Alex Jones is a buffoon, a bigot, and a dangerous one at that. But to say he should be allowed no form of freedom of expression paves the way towards a truly totalitarian society. A slippery slope? Indeed. But the slippery slope only exists because centralized censorship by corporations (or states for that matter) is allowed to exist by society. Let the people censor themselves, the people do not need to be “protected” from dangerous ideas. If the people are truly free, they can choose not to watch InfoWars of their own free will, and if something is truly vile, the people will shut it down, or will obfuscate access to it themselves. There is no need for a special mechanism of repression. Also as a side note, the self-censorship we refer to here is entirely different from the “self-censorship” we speak of the the context of the mass surveillance society, where people limit or “self-censor” their intellectual inquiries due to the awareness that they are being watched and recorded by corporate and state institutions, and by those in power. We do not have a democratic press. The capitalist “freedom of the press” has only recently been somewhat actualized with the emergence of the internet, where anyone can publish their opinion somewhat freely. This website is but an expression of that freedom. But even still, our world is dominated by the corporate media, by institutions owned largely by only a handful of powerful corporations who are controlled exclusively by a few privileged members of the ruling class. We do not have a democratic press, nor do we have a press that is truly free from censorship. Here we would reluctantly agree with InfoWars and Donald Trump’s criticism of the press, but not at all for the same reasons. Of course the corporate media is “fake news”, even if it is less so than InfoWars or Donald Trump’s Twitter page. Contrary to the principled defense of CNN and MSNBC as heralded by many liberals, the corporate media, as Glenn Greenwald said, is a “neutered, impotent, and obsolete” organization full of “slimy beasts”. I am quoting from two separate interviews here, but I think the description stands. The popularity of InfoWars is itself partially the fault of the left. Socialists aren’t the only ones who see through the farce that is the corporate media. InfoWars is an expression of reactionary petty-bourgeois defiance to the bourgeois corporate media. There are very few anti-establishment left-wing news sources, and even fewer that are explicitly socialist. And even those news sources fail to become as popular as the infamous “InfoWars”. Noam Chomsky has always been a fierce advocate of a “democratic press”, an idea that causes the ruling class owners of the corporate media to tremble and falsely cry “censorship”. If we as a society are serious about combating “fake news”, a democratic press is something we should seriously consider creating, even as something that co-exists, side-by-side, with the corporate media and the bourgeois press under capitalism. There is no such thing as “apolitical” journalism when it comes to politics. The vacuum not sufficiently filled by the left has been filled by right-wing conspiracy-minded “anti-establishment” journalism- if it can be called that- that in actuality only reinforces the existing dictatorship of the bourgeoisie, or capitalist class. Even still though, to consider it a “threat to democracy” is farcical. Censorship is a far greater threat to our bourgeois democracy, and to the existence of individual liberty as such. 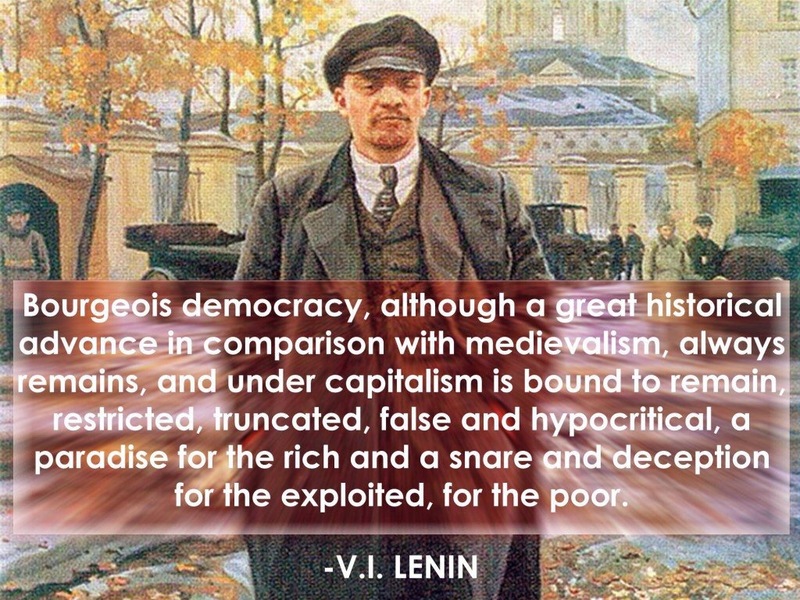 Truly working class politics demand the existence of a free and unfettered press, it demands the continual expansion of positive and negative liberty, as opposed to it’s gradual erosion under modern late stage capitalism and the mass surveillance society. “For those on the left celebrating Facebook, YouTube, etc ‘de-platforming’ Alex Jones — this is the other side of the equation. A NATO funded team is advising Facebook on how to combat the fevered ‘fake news’ paranoia in the wake of the highly overblown Russiagate episode and organizations such as Venezuela Analysis are seen as a similar threat to acceptable discourse. There is already evidence that Facebook and other platforms have de-prioritized independent left content in their news feed algorithms. It’s not hard to imagine a not so distant future where organizations on the left are de-platformed as well or aggressively de-prioritized to the point where our content is hardly accessible to anyone that isn’t directly connected to our organizations. Imagine if the Bush administration had this kind of power after September 11, 2001. We do not believe Apple, Facebook, and YouTube (itself owned by Google) have any business censoring people on account of their political beliefs. As institutions that are de facto public, they have no such right. 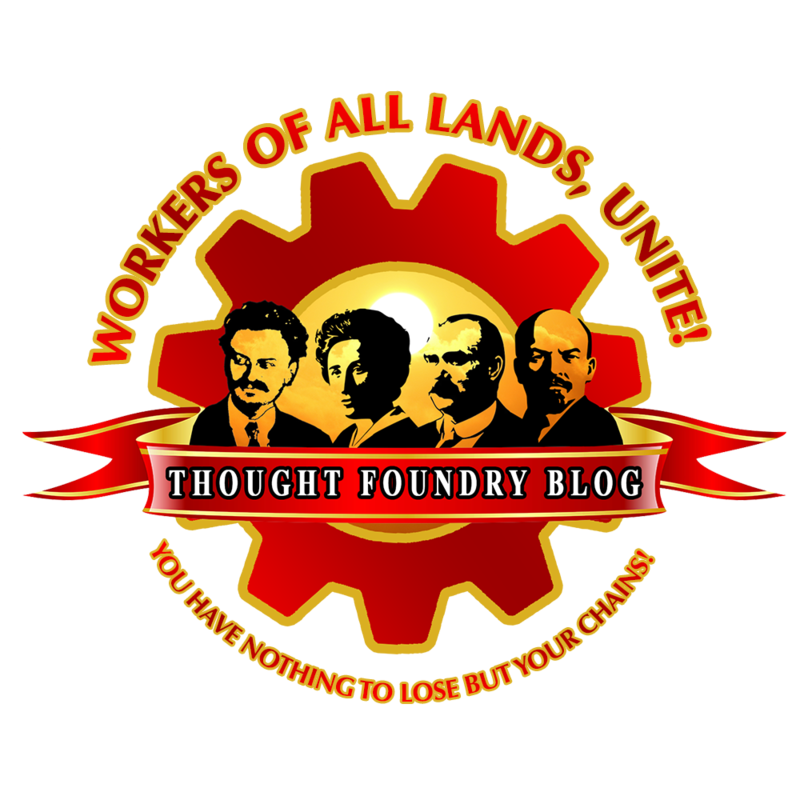 We at the Thought Foundry Blog, humbly proclaim that we will resist both corporate and state censorship, from a socialist perspective, with our last ounce of strength. You cannot advocate giving these institutions power over right-wing organizations without giving them power over left wing organizations also. Facebook has shown that it has no qualms silencing independent political journalism, will we be next?